Mont Tremblant is a ski resort in Quebec, where students get the opportunity to ski and snowboard down the Laurentian mountains for three days! 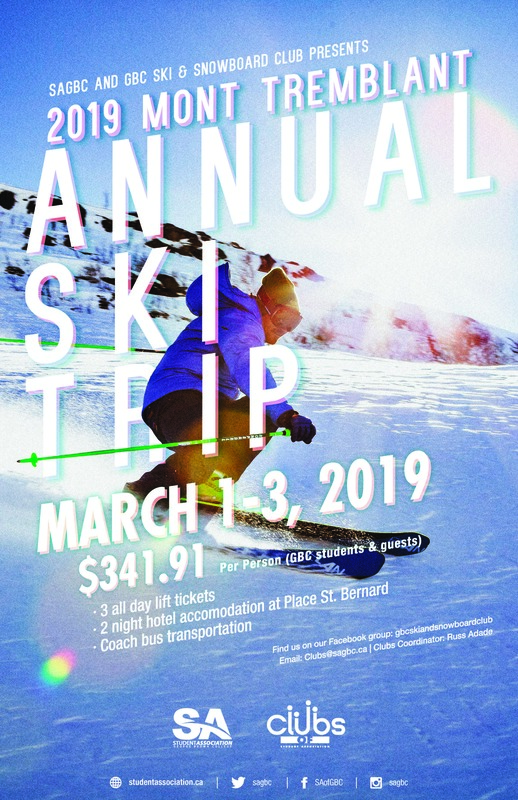 The cost for students and guests to attend the ski trip is $341.91. After initial registration you will receive an email with your next steps.